LightInTheBox Reviews and Complaints: Home & Garden, Electronics, Wedding Apparel, Any Scams? LightInTheBox Reviews -Established in 2006, Lightinthebox.com is a fast-developing wholesale and retail shopping website, whose headquarter is located in Beijing, China. Currently, Lightinthebox’s customers come from over 170 countries, and the number as well as the range of their customers is still growing, at a very rapid speed. Established in 2006, Lightinthebox.com is a fast-developing wholesale and retail shopping website, whose headquarter is located in Beijing, China. Currently, their customers come from over 170 countries, and the number as well as the range of their customers is still growing, at a very rapid speed. 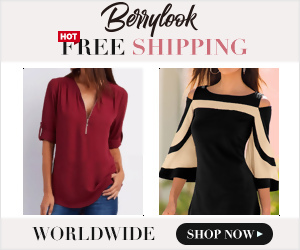 Lightinthebox.com offers items covering 14 major categories including apparel and accessories (especially wedding dresses and other fashion dresses), cell phones, electronics, etc. Whoever you are, and wherever you are, LightInTheBox offers the same price to all: the lowest possible. Get $10 off on order $90 or more at LightInTheBox.com. Beware the fake five-star reviews – they cost LIghtInTheBox good money. They often don’t really stock the items they claim to stock, and will tie up your money for as long as possible while they try to figure out how to get them from chinese retailers. They don’t really have warehouses in your country – everything ships from china. The tracking numbers they supply are bogus and don’t indicate anything useful except that LightInTheBox.com lies. 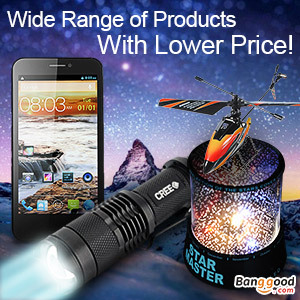 If you simply must buy chinese goods, find an alternate source through AliExpress or Ebay. LightInTheBox will not ship what you want and is no faster. I ordered something in January. It is now May and I still haven’t received it. Customer enquiries are impossible. How do I contact someone regarding this? It says on the site that it was posted in January. Site is a scam. Always excuses. Items aren’t shipped on time and you get sent rubbish emails. YOU HAVE BEEN WARNED!!!! Lightinthebox, commande reçue assez rapidement,sans frais supplémentaires, mais ampoules Led arrivées tordues et celles intactes,grand nombre en panne très rapidement,sans aucune possibilité de remplacement donc :site à déconseiller. Ho comprato un costume da bagno taglia M, mi è arrivato un costume che potrei mettere a mia figlia di 13 anni. Chiedo il cambio ma non c’è più l-articolo, chiedo la restituzione e mi chiedono 20 € per la spedizione o 10€ di buono per un nuovo acquisto.Preciso che il costume compreso la spedizione è costato 17 € .Reputo questo poco serio. Evitate questo sito poco affidabile . Regalero’ il costume a qualche amica …………….. I ordered a pair of Red Shoes in September. When they arrived, they were Pink. So they said they would correct the issue. Once again, they sent me Pink. So they said they’d send the correct ones. Now I’m being told that the Red ones are Out of Stock. And yet, when you go on their Website, I CAN ORDER THOSE SHOES STILL!!! In the mean time, my wedding is in 2 weeks & my dress has been altered for these shoes that they are LYING to me & telling me I can’t have. I will NEVER order from them again!!! Best discovery I have ever made! I was a little uneasy about purchasing a dress online for such an important day but the prices were truly unbeatable & I felt good about my decision to order after reading other reviews so I hope this might help you decide to give them a chance too. After not finding anything I could afford in a boutique nor anything I loved at a local consignment shop, I stumbled upon Lightinthebox.com and instantly fell in love! I had not seen this style of dress in the hundreds of dresses I browsed online and in store. I absolutely love it – the quality of the dress itself is amazing & looks & feels like a dress that cost a few thousand dollars – I am truly thrilled and couldn’t be any happier with my purchase and am so grateful that I discovered them (on one of my seemingly never ending searches! lol) Here’s the link to my dress: http://www.lightinthebox.com/Trumpet–Mermaid-Halter-Sweep–Brush-Train-Chiffon-Over-Satin-Wedding-Dress_p174330.html Happy Thanksgiving! If you want to buy something from lightinthebox, you need to go to their website and contact them. We are not lightinthebox. We can not answer your question. I was initially referred to LightInTheBox by a tango friend. She was wearing a sparkly pair of red shoes on the dance floor that looked great. When I asked her about them she introduced me to LightInTheBox. Although it was the middle of the night when I reached home I got straight onto the Internet and explored the LightInbTheBox website. I was spoiled for choice but eventually settled on a pair each of purple, pink, and black high heeled beauties. I had a problem at my end trying to find a number on my credit card but once that was sorted the order for three pairs of dance shoes was speedily processed. The price was fantastic. I couldn’t believe that I could buy a new pair of dance shoe for the price advertised. I was kept well informed of the progress of my order and when to expect delivery. The shoes arrived just when LightInTheBox said they would. I am delighted with the shoes and I will be trying them out on the dance floor this weekend. They fit perfectly; the heel height is exactly right and they look absolutely stunning. It’s a pity that I can’t wear them all at once! I will be recommending LightintheBox to my friends. It look like fake review. What is great in cheap low quality Chinese shoos , a same you can find in all other shop. I look at Price is 18 $ and shipping is 48 $. And this shop sell 118.596 products and all is ” great and high quality ” ??? i have bought a homecoming dresses in lightinthebox, so beautiful, and fabric is comfortable, so i want to share the experience. I was pleasantly surprised and completely happy with this dress. I am getting married on the beach but wanted something a little more elegant than your typical sheeth wedding dress. I was nervous and skeptical ording my wedding dress online with out ever trying it on, and not being able to touch or feel the fabric of the dress. It is very well made and all the details were perfectly intact. It fits to my exact measurments. (except length, Im only 5’2 and expected to have to have it altered) I would highly recommend Light in the box to anyone looking for an affordable well made dress. I did for my wedding in August and I was happy with what I received. Dont forget you’ll have to pay import tax on them though.